FAQ: I Have a Traditional IRA. Can I Roll It Over Into My Commonwealth of Virginia 457 Deferred Compensation Plan? Purchasing prior service is now at your fingertips as myVRS expands to serve you better. If you have prior service from previous public employment, active duty military service, an eligible period of leave or VRS refunded service, you can purchase it as service credit in your plan. Prior service credit counts toward the five years needed to become vested and eligibility for retirement and the health insurance credit. View prior service in your account that is eligible for purchase. See the impact of purchasing service on your future retirement benefit. Evaluate the time it will take to recover the purchase cost in retirement. Select the type and amount of service to purchase. Choose the order in which to purchase service. Calculate the cost to purchase service. Your myVRS account also offers counseling tips to guide you through the purchase process. You can purchase prior service through a lump-sum payment to VRS or through a purchase payment agreement with your employer. The 2017 General Assembly ended April 5. The legislature passed only a few bills affecting VRS, which are summarized in the 2017 Legislative Summary . VRS has revised member handbooks to include details on purchasing prior service through your myVRS account and to provide other updates. The member handbook for your plan can answer many of your benefit questions during your career. The Getting Ready to Retire Guide is a valuable aid as you plan for retirement, and the Retiree Handbook is an important reference during retirement years. Refer to your handbook for retirement eligibility requirements, benefit options, life insurance information and health insurance credit information. The handbooks are available in PDF format on the VRS website. Plan 2 handbooks for hazardous duty positions, the Hybrid Retirement Plan Handbook, the Getting Ready to Retire Guide for Plan 1 and Plan 2 Members, the Virginia Local Disability Program (VLDP), the Virginia Sickness and Disability Program (VSDP) and the VRS Disability Retirement handbooks also are available in print. Contact your employer or VRS to obtain a print copy of your plan handbook. The VRS Defined Contribution Plans have a revamped logo and new branding coming soon to help you easily identify defined contribution plan resources. 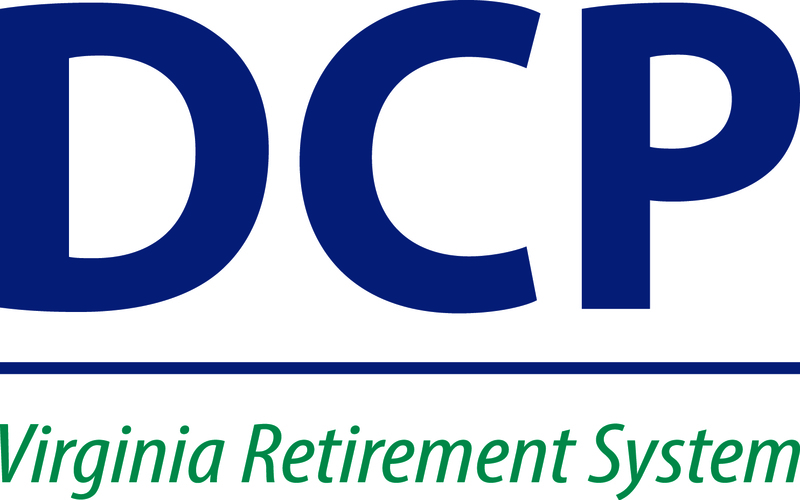 You’ll spot the new DCP-Virginia Retirement System logo on your defined contribution websites and in other materials. Are you making the most of your money as a Hybrid Retirement Plan member? Voluntary contributions to your defined contribution account are a convenient way to increase your savings and build your retirement income, while taking advantage of employer matching funds. And now, a new calculator built for hybrid members helps you see the effect of increasing your voluntary contributions on your paycheck. The visually interactive calculator allows you to experiment with various savings percentages and determine what works for you. You can increase your voluntary contributions in 0.5 percent increments, up to 4 percent of your creditable compensation. Your employer matches the first 1 percent of your voluntary contribution with a 1 percent contribution and then matches each additional 0.5 percent increase with a 0.25 percent contribution—up to a 2.5 percent maximum match. You may update your voluntary contribution elections quarterly. To increase the amount of your voluntary contributions, go to www.varetire.org/hybrid and log into Account Access, or call Investor Services at 1-877-327-5261 and select option 1. The deadline for making updates for the next quarter is 4 p.m., June 15. Whether you are a recent college graduate or a mid-career employee who returned to school, odds are that you have student loans to repay. Did you know that increasing your Hybrid Retirement Plan voluntary contributions or your contributions to the Commonwealth of Virginia 457 Deferred Compensation Plan or an employer-sponsored 403(b) plan can help lower your student loan payments? When you make voluntary contributions (up to 4 percent) to your Hybrid Retirement Plan, money is deducted on a pre-tax basis. With pre-tax deductions, you lower your annual adjusted gross income (AGI). The same concept applies if you make contributions (other than Roth contributions) to the Commonwealth of Virginia 457 Deferred Compensation Plan or an employer-sponsored pre-tax retirement savings plan. VRS members also may be eligible for the federal Public Service Loan Forgiveness (PSLF) program. With the PSLF program, an eligible borrower may have a remaining student loan balance forgiven after 10 years of public employment (e.g., VRS-covered employment). By participating in an income-driven repayment plan, contributing more toward your retirement, and thereby lowering your annual AGI, you likely can decrease the total amount that you repay on your student loans over the 10-year period. To increase your Hybrid Retirement Plan voluntary contributions or Commonwealth of Virginia 457 Deferred Compensation Plan contributions, log into your Account Access on your plan’s website, or call ICMA-RC Investor Services at 1-877-327-5261. If your employer offers a 403(b) plan, check with your human resource office. For more information on your federal student loans, repayment plans and the PSLF program, visit the Federal Student Aid website. You may roll over balances from an eligible retirement plan, such as a 401(a), 401(k), 403(b), 457(b), traditional IRA or Federal Employees Thrift Savings Plan to your Commonwealth of Virginia 457 Deferred Compensation Plan. In addition, approved balances from other governmental 457(b) plans may be rolled over to the Commonwealth of Virginia 457 Plan. Be aware, however, that you cannot rollover balances from Roth IRAs or other designated Roth accounts into the 457 plan. Learn more about the Commonwealth of Virginia 457 Deferred Compensation Plan.